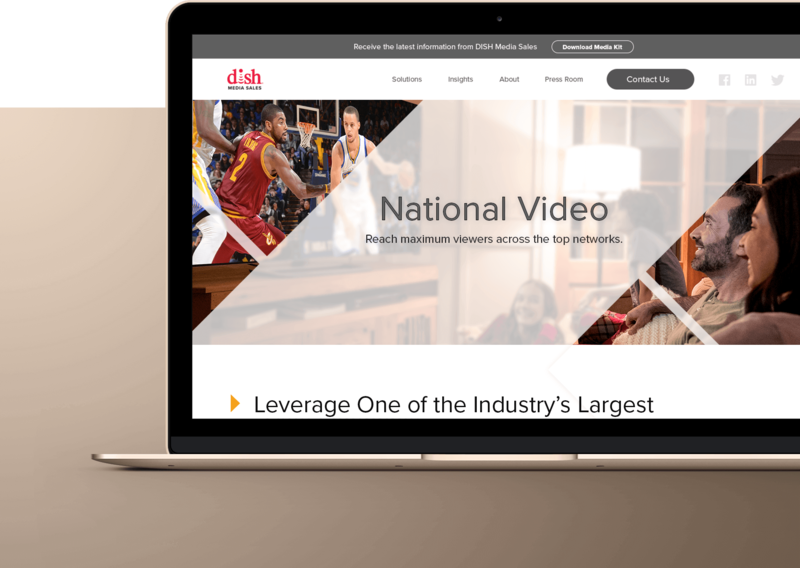 We were tasked with creating an annual sales campaign for DISH Media Sales, which provides advertisers with intelligent solutions to efficiently maximize exposure to audiences across DISH and Sling TV. The project, an evolution of the previous year’s successful “We Get People” campaign, would play an instrumental role in driving the group’s annual sales revenues of over $250M. With the convergence of traditional and digital TV, we needed to move fast to position ourselves as an industry leader. Like any sales organization, their frontline staff were the lifeblood of the business. The living and breathing heart of the brand itself. Dealing with clients on a daily basis, their salespeople were not only our brand mouthpiece, but our creative sounding board, too. 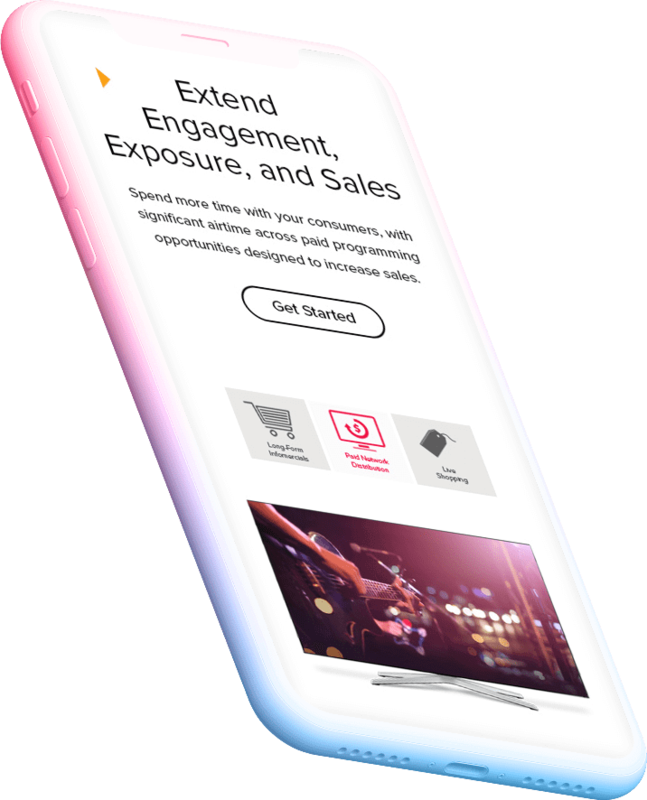 The cornerstone of their toolkit was an interactive sales presentation, fronted by a sizzle video, which set the tone for meetings by speaking to the changing viewing habits, consumer perceptions, and trends in TV. 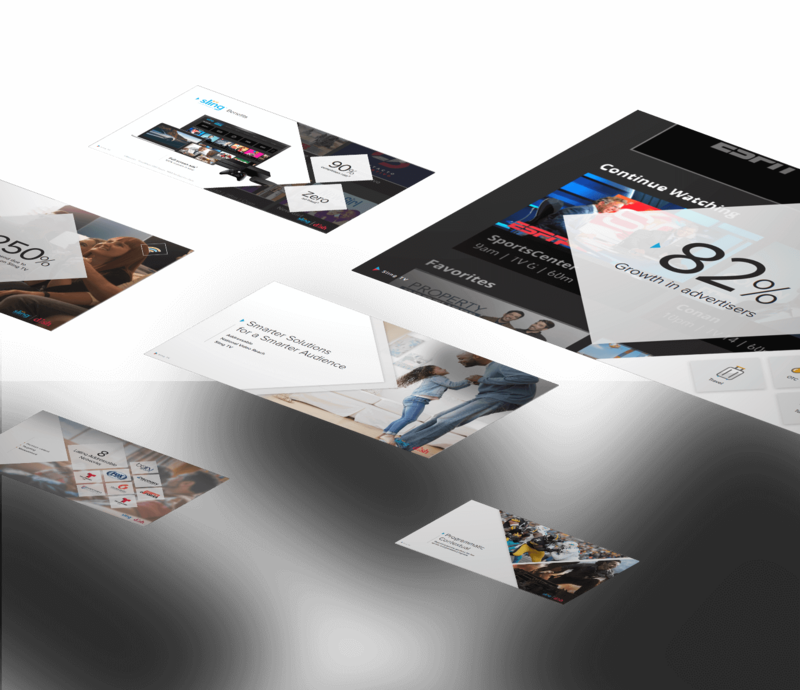 It was supported by a refresh of their corporate website, media kits, case studies, product videos, and other collateral. The campaign was warmly received by executive leadership and sales team alike, with many seasoned veterans claiming it was the best sales-support effort they’d ever seen. This was a testament to our ability to listen to key stakeholders, address their unique needs, and deliver a campaign that empowered individuals with the tools to succeed at every level of the organization.